Home /Worlds biggest making money online fan ! There’s one day left of THE SINGLE LONGEST YEAR OF ALL TIME. In fact, here in the U.K. there’s merely half a day left. 2018 has been quite a year… let’s leave it at that. But now, as the clock ticks down to the start of 2019, new hope and promise is on the horizon. Whatever 2018 has brought our way, we can start afresh tomorrow, facing the new year with renewed zest and vigor. Still, there’s a few hours to go before the big countdown, the parties in the streets and people singing hacked, rewritten versions of Auld Lang Syne. For many, New Year’s Eve is a time to be out among the hustle and bustle of the crowds, waiting hours to get served in bars, and not finding a seat anywhere. Others, however, are happy to stay home and indulge in our favourite pastimes, perhaps watching films, catching up on TV, or playing games that brought us joy this year. That’s what yer boy Moyse is doing, I got a bad wheel and movie backlog a mile long. But what about you, dear reader? Let us know what you’ll be getting up to below. And if you are celebrating New Year’s Eve tonight – whatever it is you’re doing – be safe, have fun and love those around you. 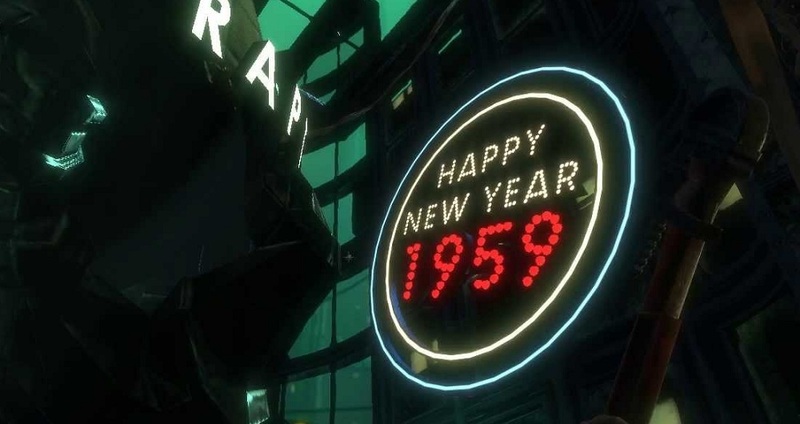 Here’s wishing you and yours a very happy and prosperous 1959 2019. Knock it out of the park, yeah?